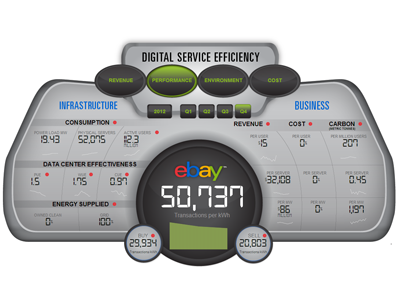 eBay has posted a Digital Service Efficiency (DSE) dashboard online to track the cost, performance and environmental impact of customer buy and sell transactions. The dashboard essentially provides a guide to measuring the overall efficiency of eBay's technical infrastructure, across four key business priorities: performance, cost, environmental impact, and revenue. 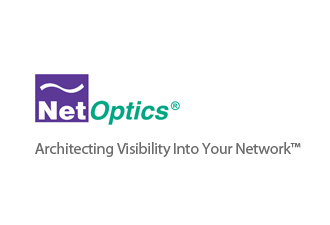 Net Optics introduced its new xFilter Network Packet Broker (Version 2.5) for high-density, high-throughput network monitoring in areas using advanced tunneling protocols for optimized visibility, performance, efficiency and security. The latest release provides traffic visibility throughout networks that employ complex tunneling technologies or virtualized topologies. New support includes Extensible LAN (VXLAN) and Cisco FabricPath protocols. xFilter also allows such tools to monitor in the presence of revived protocols such as PPPoE and MPLS, which present processing and visibility challenges. It also supports both tunneling and de-capsulation for monitoring purposes. GRE encapsulation of traffic of interest point to point. Big Switch Networks announced distribution partnerships with ITOCHU Techno-Solutions Corporation (CTC) and Net One Systems for the Japanese market. Big Switch Networks’ Open SDN product suite includes an SDN controller that serves as a network application platform for a variety of applications, including network monitoring and data center network virtualization. Last week, Big Switch announced the addition of Tony Bates to its Board of Directors. Bates was a long time senior executive at Cisco Systems, and is currently the President of the Skype division of Microsoft. He joins industry veterans Mike Volpi, Shirish Sathaye, Mark Leslie, Bill Meehan and co-founders Guido Appenzeller and Kyle Forster on the company’s Board. Digicel successfully completed a US$1 billion corporate bond offering at 6.00%. The proceeds will be used to refinance all of its 12% Senior Notes due 2014 and for general corporate purposes which could include capital expenditures, acquisitions, debt repayment or dividends. 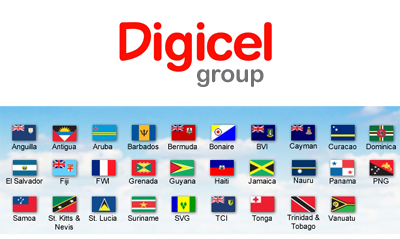 Digicel is a leading global telecoms operator serving customers in the Caribbean, Central America and Pacific. Its markets include: Anguilla, Antigua & Barbuda, Aruba, Barbados, Bermuda, Bonaire, the British Virgin Islands, the Cayman Islands, Curacao, Dominica, El Salvador, Fiji, French Guiana, Grenada, Guadeloupe, Guyana, Haiti, Jamaica, Martinique, Nauru, Panama, Papua New Guinea, Samoa, St Kitts & Nevis, St. Lucia, St. Vincent & the Grenadines, Suriname, Tonga, Trinidad & Tobago, Turks & Caicos and Vanuatu. Digicel also has coverage in St. Martin and St. Barts in the Caribbean. Alcatel-Lucent is supplying its new 7950 XRS core router family to UPMC, the top ranked healthcare provider in Western Pennsylvania. The UPMC build-out will also include Alcatel-Lucent's proprietary optical coherent technology, the 1830 Photonic Service Switch (PSS). The high-powered network will be used to handle the challenge of Big Data in the health care sector. Financial terms were not disclosed. Previously, Alcatel-Lucent has announced deployment of its 7950 XRS by Belgacom and Telefonica. The Wi-Fi Alliance and Wireless Gigabit (WiGig) Alliance finalized the agreement for the consolidation of WiGig technology and certification development in the Wi-Fi Alliance. "This is a significant and exciting moment for our members and our industry," said Wi-Fi Alliance president and CEO Edgar Figueroa. "With 60 GHz efforts concentrated in one organization we have the momentum, technology, and members to deliver on the promise of WiGig technology." 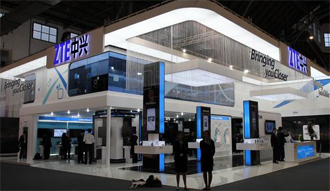 Wi-Fi Alliance will continue work begun in WiGig Alliance on features that extend WiGig capabilities beyond baseline connectivity, to address a range of applications from high-definition WiGig Display, to peripheral connectivity and I/O cable replacement. 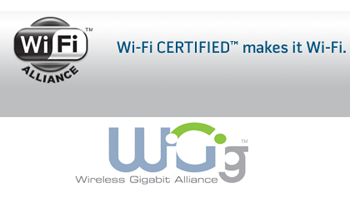 The WiGig Alliance promotes short range, multi-gigabit capable wireless connectivity based on unlicensed 60 GHz spectrum. Early 60 GHz implementations based on the WiGig specifications are entering the market now and ABI Research forecasts that by 2016, annual shipments of devices with both Wi-Fi and WiGig technology will reach 1.8 billion. The Wi-Fi Alliance and the WiGig Alliance have been collaborating for the past two years, during which time the WiGig Alliance developed the key specifications including MAC-PHY and Protocol Adaptation Layers (PALs) and Wi-Fi Alliance initiated work to develop an interoperability certification for 60 GHz products. Microsoft has acquired MetricsHub, a Seattle-based start-up specializing in Active Cloud Monitoring, for an undisclosed sum. MetricsHub developed technology for automating cloud performance management. The solution works with Windows Azure. A pre-release version is now available in the Windows Azure Store. Anaplan, a start-up offering cloud-based modeling and planning solutions for finance and operations, closed $30 million in new venture financing. Using cloud resources, the San Francisco-based company helps corporate customers to dynamically test their operational plans, manage complex multi-dimensional models, collaborate across functions and regions, and share insights and content. Meritech Capital led the round, along with existing investors Granite Ventures and Shasta Ventures. Anaplan recently opened offices in the UK, France, Sweden and Singapore. “The enterprise planning and modeling market has been under-innovated for 10 years and is ready to be profoundly disrupted. Anaplan is that long-awaited innovation,” said Anaplan CEO Fred Laluyaux. Radisys posted Q4 2012 revenues of $69.3 million and a GAAP net loss of $4.9 million or $0.18 per share. Fourth quarter non-GAAP net income was $0.9 million or $0.03 per diluted share. "Our fourth quarter revenue and profitability exceeded our expectations. Increased shipments in Software-Solutions, particularly within our MRF business, as well as our ATCA product lines enabled a 9% sequential quarterly increase in total revenue. This improved revenue performance, combined with solid expense management, enabled a return to non-GAAP profitability, stated Brian Bronson, Radisys' President and CEO. ATCA and Software-Solutions revenue accounted for 69% of revenue, growing 21% sequentially when compared to the third quarter of 2012. Fourth quarter platform design wins spanned a number of different applications such as Femto Gateways, Load Balancers, and Edge Routing. GAAP gross margin was 30%. Non-GAAP gross margin was 33%. Increased shipments of both Software-Solutions and ATCA products enabled a nearly two percentage point sequential gross margin improvement over the third quarter of 2012. The market response to the MPX-12000 (Media Resource Function) exceeded expectations and when combined with the company'saudio conferencing position, resulted in 2012 annual revenue growth of over 23% and a ramping funnel of opportunities in 2013. Trials and lab testing of the product's ability to process both voice and video over Next Generation LTE wireless networks at several large Tier 1 customers continue to progress well. The company's full suite of 40G ATCA T-Series products have been released to production. Cyan appointed Mike Zellner as vice president and chief financial officer. Zellner joins Cyan from PMC-Sierra where, for the past six years, he served as chief financial officer. Prior to PMC-Sierra, Zellner was senior vice president of finance and chief financial officer at Wind River Systems. ZTE confirmed a strategic partnership with Intel to develop unique smartphones based on the Intel Atom Z2580 processor. The platform’s dual-core processor with Intel Hyper-Threading Technology provides double the compute performance and up to 3x graphics capabilities over the previous generation Intel Atom Z2460 processor while delivering the same competitive battery life. The ZTE Grand X IN smartphone already features Intel Inside. The ZTE Grand X IN was one of the best-selling smartphones in Austria during 2012. The Android-based device is also available in Germany, Poland, Hungary, Romania, Serbia, Macedonia, Slovakia, Moldova, Greece, Sweden and Norway. It will also soon be available in France.